Thursley Common has to be one of the best sites for wildlife in Surrey. 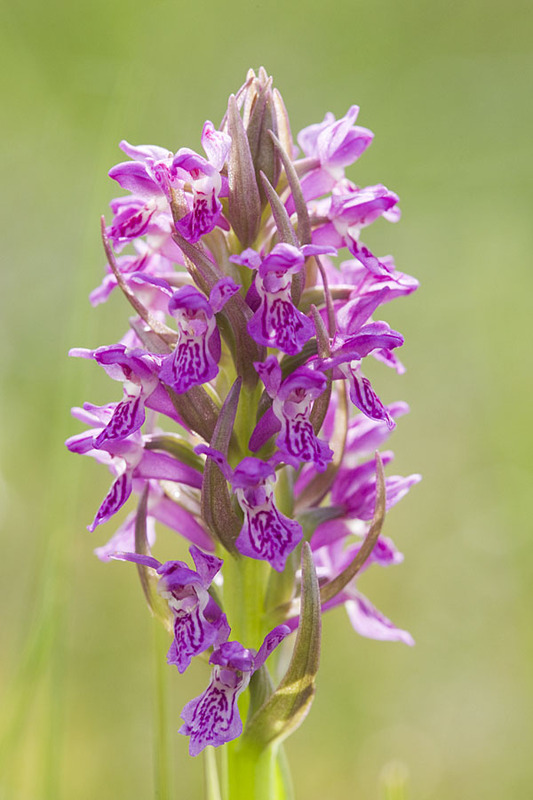 It has areas of acid bog and heathland and supports a variety of rare species including dragonflies, spiders and birds, plus all six species of British native reptiles. 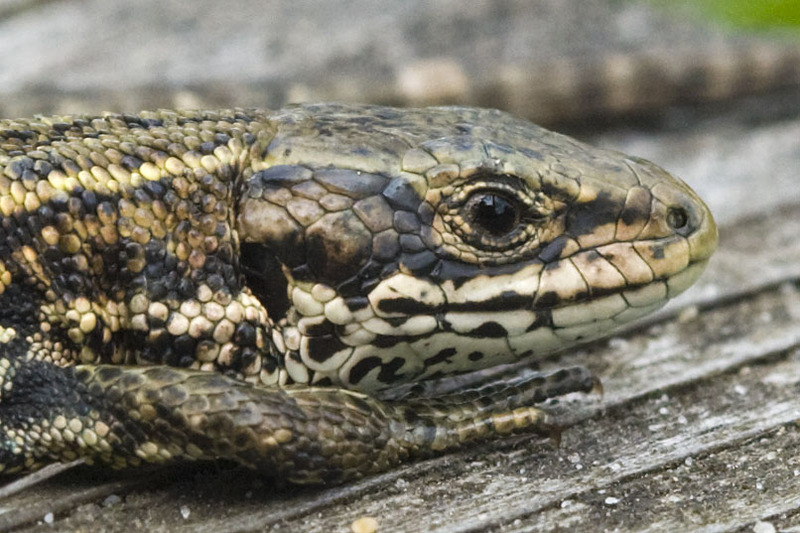 I met with a few like-minded friends at the weekend to see what we could spot there, and to see if I could finally catch a glimpse of our two rarest reptile species which have still eluded me. After we had been walking for a while a man approached from the opposite direction – “Sorry to bother you, but do you know where Cuckoo Field is?” I was about to get the map out of my pocket but soon realised this was no official name. Apparently there is a cuckoo in a field who always seems to be in the same place in plain view, and word has got around. Oh, and he’s been given the name Colin. Colin the cuckoo! Needless to say we couldn’t help the gentleman, but he headed off on his quest. After a while we spied a field ahead, and low and behold there was quite a gathering of people – some had even brought along fold up chairs to sit on – all waiting for an appearance by Colin! We didn’t linger too long to see his performance, but we did hear him in the trees nearby. Anyway, back to our own quest. 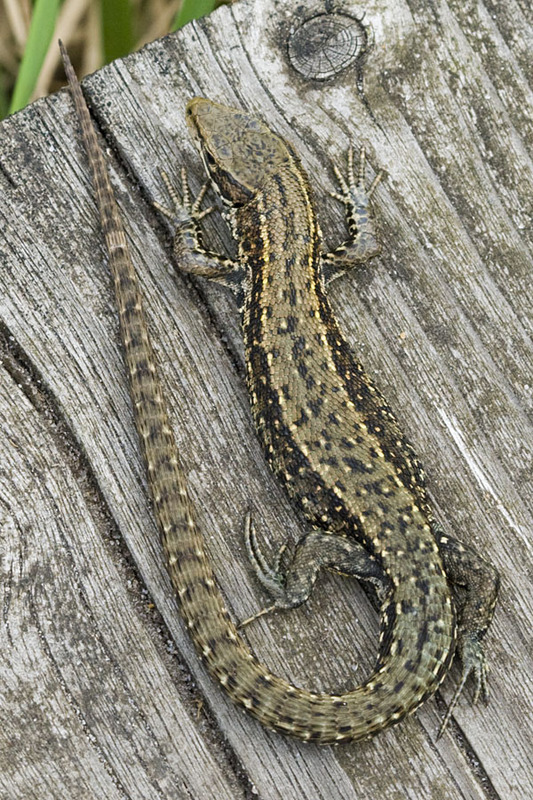 The boggy areas of the common are crossed by boardwalks, and the common lizards love to use these to bask in the sun. We seem to come across them every few yards, so over the whole common there must be hundreds or even thousands of them. 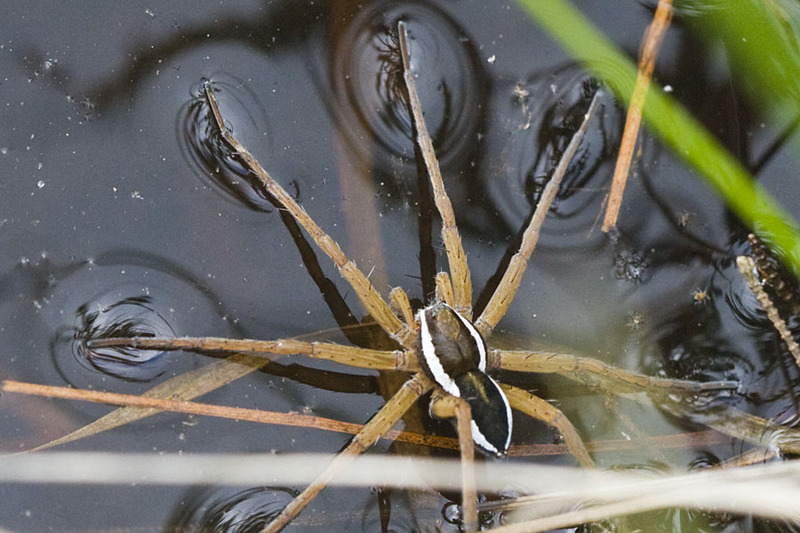 We also see a couple of beautiful raft spiders. These really are impressive beasts – one of the largest spiders in the UK and with striking colours and markings. They don’t spin a web to catch prey but sit on the margins of the pond waiting to detect the vibrations of any suitable meal on the water. They sometimes even eat small fish or tadpoles, but it will mostly be invertebrates. 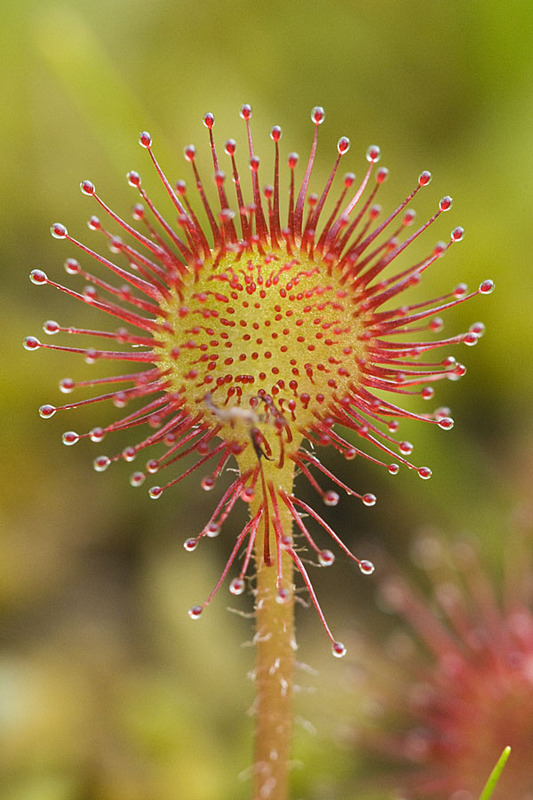 The boggy areas are also home to a number of carnivorous plants. Bladderwort grows in the water and catches prey by sucking it into a bladder when trigger hairs are activated – a process which takes just a fraction of a second. The sundew uses slower methods. Insects get caught in the sticky secretions and the leaf then slowly curls up to envelop and digest the prey. We finally head off to the dryer areas to seek out the more elusive reptiles. We spread out and scour the heathland, concentrating on the open areas where they may be basking in the sun, but they remain as invisible as ever, such that I almost begin to doubt their existence. I did eventually get a fleeting glimpse of a smooth snake as it slithered under the cover of the heather, giving me no time for a photo. I would have preferred a longer view, and to be able to show the others, but it does mean that the sand lizard is now the only British reptile I have yet to see.